THE week three Men’s SBL Player of the Week has been awarded to Rhys VAGUE of the Vorian Agency East Perth Eagles. 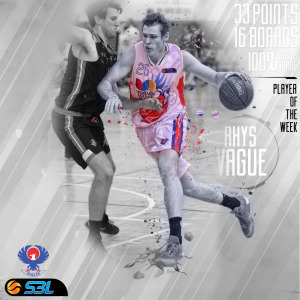 It is extremely rare to see a player do in any game what Rhys Vague did for the East Perth Eagles against the Kalamunda Eastern Suns on Friday night at Morley Recreation Centre. Vague had a monster game with 16 rebounds, 6 assists, 2 steals and 3 blocks with a game high 33 points, however it was his efficiency that was most impressive. Vague went 10 of 10 from the field and 11 of 11 from the free throw line to finish the night at 100% shooting efficiency. On the back of this stunning individual performance, the undermanned East Perth Eagles came back after trailing the Eastern Suns at half time to run away eventual winners 115 to 102 and record their first win of the season. Coming off another season as a development player with the Perth Wildcats in the NBL, Vague now looks to be an established SBL player and a dominant force in the league. 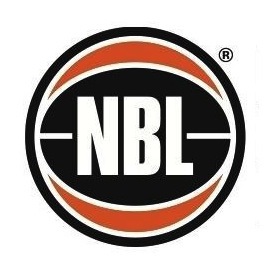 Tre Nichols (South West Slammers), Kenny Manigault (Goldfields Giants), Trevor Setty (Mandurah Magic), Daniel Alexander (Lakeside Lightning), Cody Ellis (Stirling Senators), Thomas Korf (East Perth Eagles), Matthew Adekponya (Geraldton Buccaneers), Jack Wagner (Perth Redbacks), Royal Crouch (South West Slammers), T.J. Hallice (Lakeside Lightning), Marcus Goode (Cockburn Cougars), Carter Cook (Geraldton Buccaneers), Chudier Pal (Rockingham Flames), Gavin Field (Cockburn Cougars) & Jay Bowie (Willetton Tigers).